Ladder is a site specific work in which visitors to a space are forced to walk underneath a ladder positioned over the entrance. 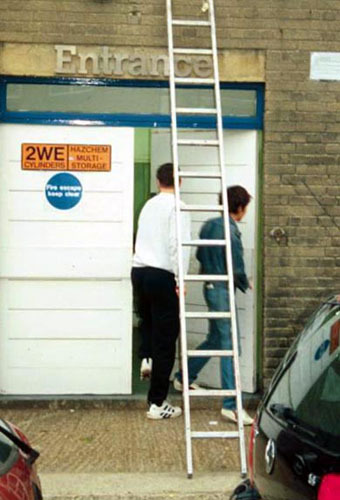 The common superstition of avoiding walking underneath ladders comes from the idea that the ladder forms a triangle with the floor and wall symbolising the three aspects of the Holy Trinity. Click here to request more information or purchase ladder (please specify height and type).